Designing and installing energy saving systems is a core focus of our custom switchgear, controls and systems integration team. Many existing systems are poorly documented and hard to troubleshoot and fix. Besides being prone to breakdown, many systems suffer from a lack of replacement parts availability and OEM support. We can fix that. Whether replacing individual components or redesigning an entire control system, Stultz Electric and the network of Timken Power Systems sites work with you to evaluate your system’s present condition and provide upgrade options where needed. 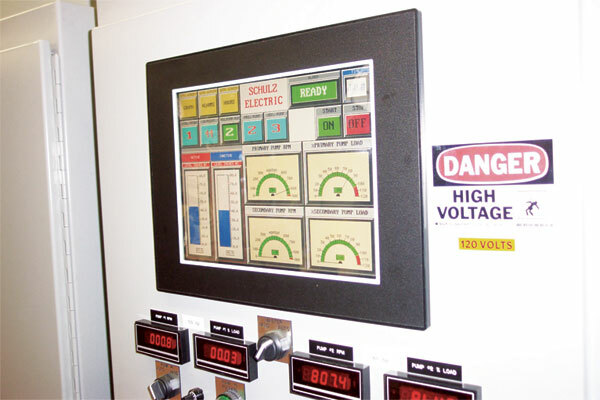 State-of- the-art switchgear and VFD’s, for example, coupled with modern process feedback transmitters and programmable controls, can make your equipment operate with more flexibility, increase production with less waste, and result in more uptime.